A handful of reissues have nostalgic appeal or, in some cases, an updated look. Margaret Wise Brown's 1946 classic returns as the Little Fur Family Deluxe Edition, illus. by Garth Williams. 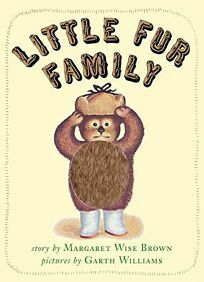 A furry patch on the cover invites youngsters to rub the bear cub star's belly; inside, Brown introduces readers to ""a little fur family/ warm as toast/ smaller than most/ in little fur coats"" and the ""warm wooden tree"" in which they live. A miniature edition-covered with faux fur and packaged in a recloseable box (the fur peeks through a die-cut opening)-is also available.